As you are likely aware, we’ve had some major challenges with the weather this year. Our winter was extremely warm (warmest on record, as a matter of fact), so our peach trees didn’t get all the dormant time they require. They also bloomed in mid-March, 3-4 weeks earlier than normal. This means they were quite advanced when the mid-April freezes and frosts hit us. We had several nights below freezing, and even some nights in the low-mid 20s’. Our peach crop in Crozet, which is a rather low elevation, suffered significantly. For the past few weeks we’ve been watching with hope as the fruits start to form, only to then drop off the trees. 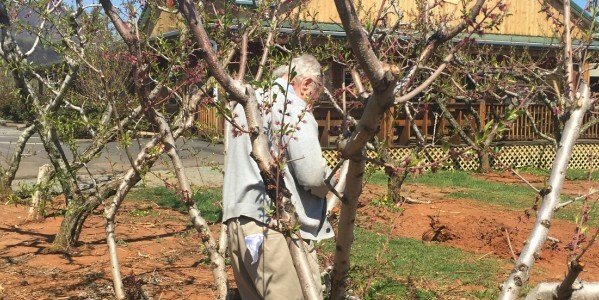 Because of this, we will have a very short supply of pick-your-own peaches at Chiles Peach Orchard this year, and they will likely be available sometime in July (stay tuned, we will keep you posted). We will, however, have plenty of our own already picked peaches for you (see below), no never fear – you can get your peach fix! We appreciate your understanding, and we will always provide you with the very best that we have. Fortunately, we grow peaches on other land in Albemarle County, and some, at higher elevations, were less affected by the freeze. We’re pleased to let you know that we are supplying our farm market with our own peaches this summer, as always. Clingstone peaches are in season now, and we expect our first freestones in mid-July. 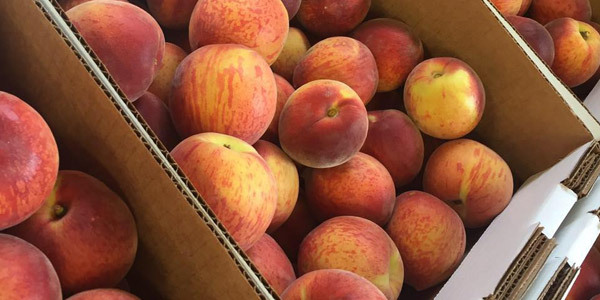 Nectarines, white peaches, and donut peaches should be available by late June. 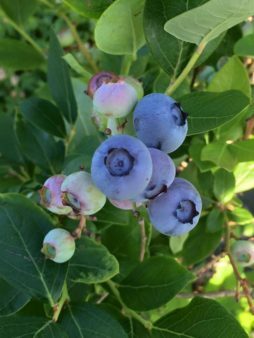 We first planted our blueberry bushes 3 years ago, and we’re happy to report that this year, we do have a small crop! 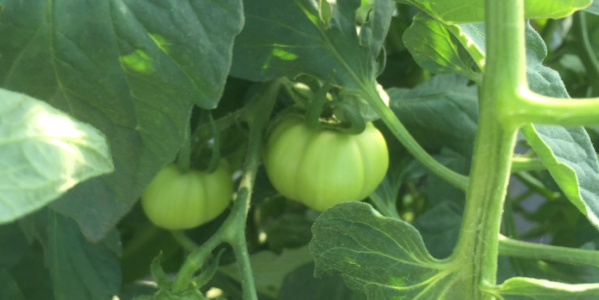 Picking will be available off and on throughout the summer – it varies depending on weather and crowds – feel free to call ahead, or watch our facebook and twitter pages for daily updates. New this year—we are growing summer vegetables and flowers! We harvested our first zucchini today, and will have squash, tomatoes, bell peppers, green beans, and cut flowers in our market most of the summer. Farm fresh, local, homegrown—and all delicious and beautiful! Check out our selection next time you stop in! Our apple crop in Crozet is looking very good so far! Summer apples—our first Lodi apples will be available (already picked) within the next few days. These are wonderful for frying, cooking, and applesauce. They will be in season for about 2-3 weeks, so if you are a fan, you’ll want to stop in soon! We anticipate our first pick-your-own apples in mid-August – but stay tuned for updates throughout the summer. Our pumpkins are being planted this week (so no frost damage as of yet!!). With lots of hard work, luck, and help from Mother Nature, our pumpkin patch will open in mid-September. Stay tuned to our social media pages for updates throughout the summer!